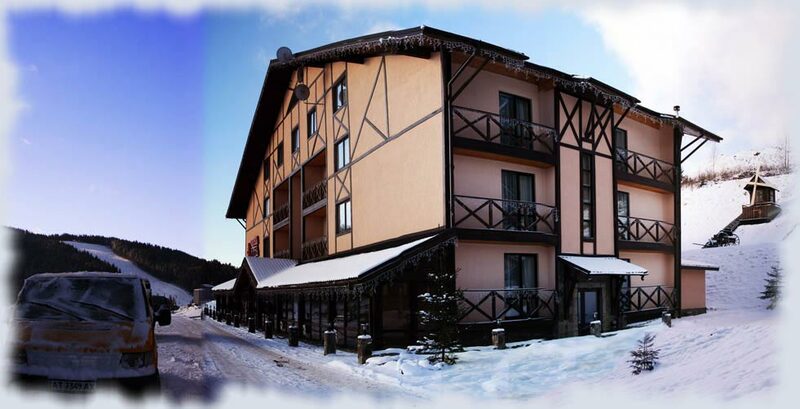 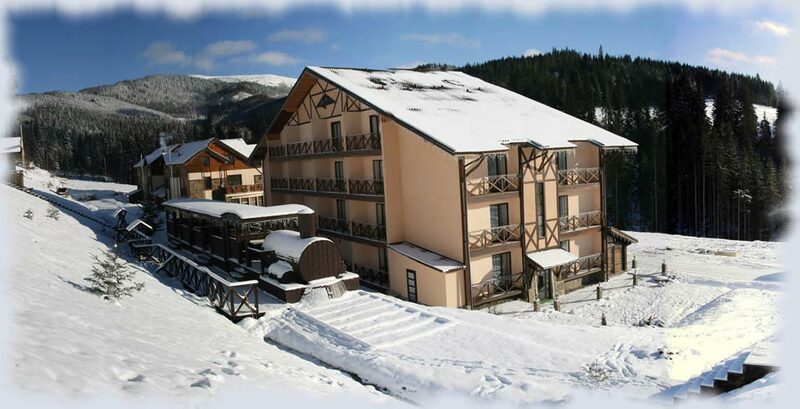 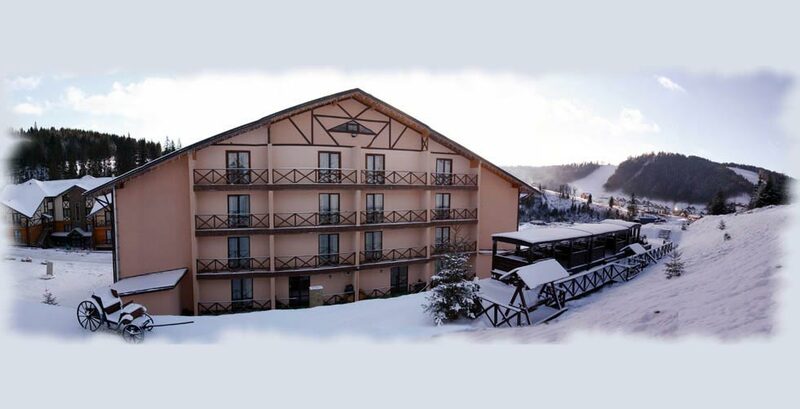 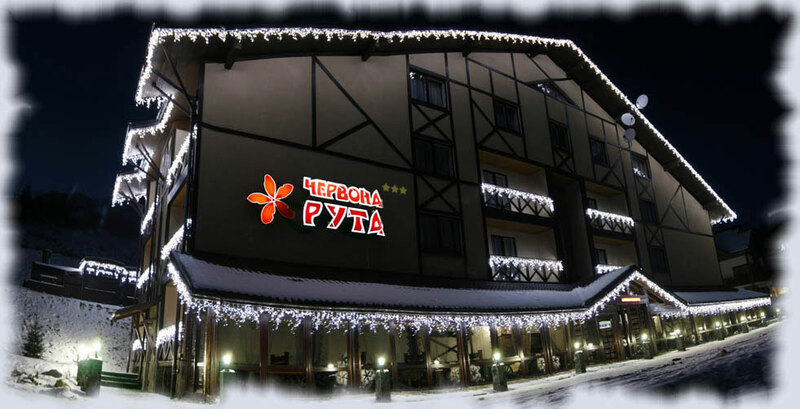 "Chervona Ruta" hotel is situated in the center of the "Bukovel" resort,in a picturesque corner of Ukrainian Carpathians. 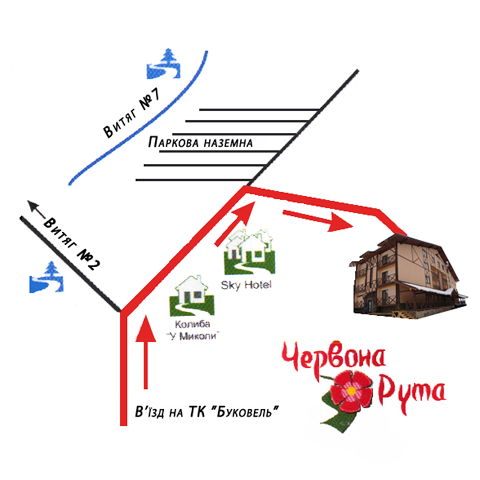 By personal transport - to Ivano-Frankivsk then to Polyanitsa village(110 km) through Nadvirna, Yaremche,Mykulychyn and Tatariv villages. 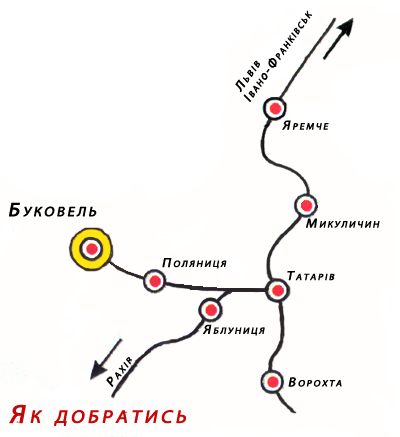 Ternopil - 247 km,Chernivtsi - 253km, Kyiv - 656km. 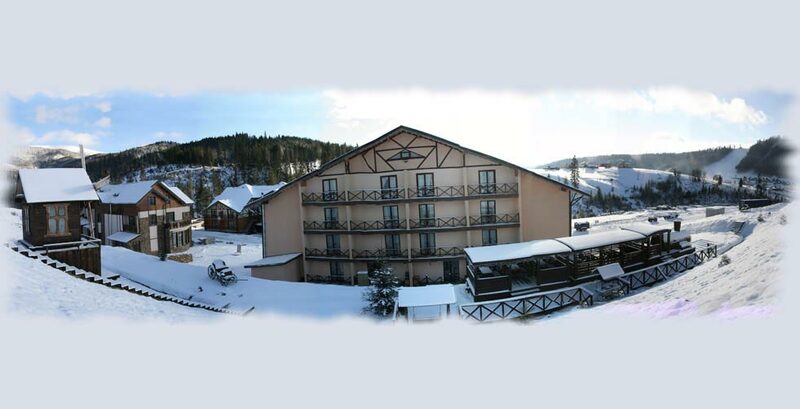 Train - to Ivano-Frankivsk, Ternopil, Chernivtsi, or Lviv, then transfer to bus towards Bukovel. 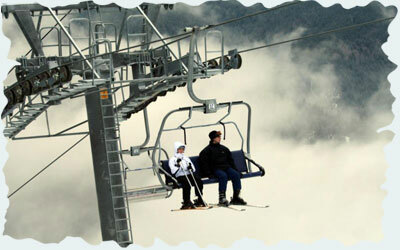 Possible transfer by a previous order.